Intubated patients require ongoing secretion management to remove mucus build-up inside and around their breathing tubes. In most patient populations, this is easily managed by using a suction catheter. However, due to the size of a newborn's airway, a very narrow diameter suction catheter must be used, leading to frequent clogging and preventing effective clearing of secretions. In addition, the negative pressure required to clear secretions using this method can cause lung collapse in premature or especially ill newborns, putting the baby at risk of complications or even death. 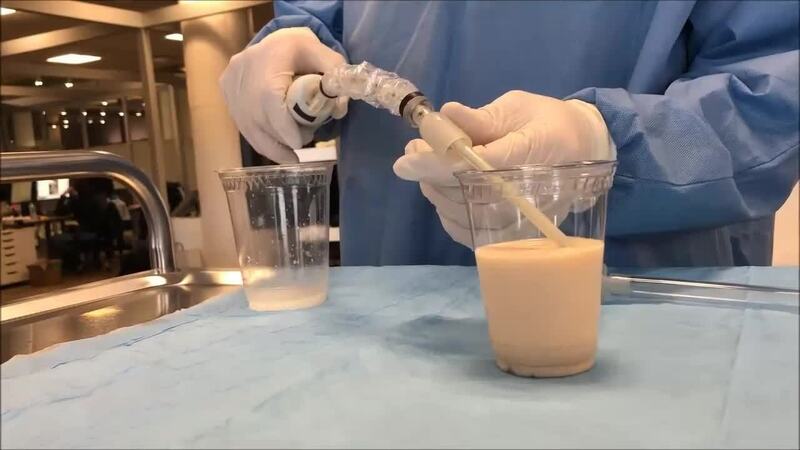 A team from Children's Hospital of Philadelphia (CHOP) partnered with Smithwise to develop Spirocath, a suctionless mucus removal system to improve the standard of care for this vulnerable patient population. Spirocath uses a flexible plastic auger, contained within a catheter and driven by an electric motor, to feed mucus up the length of the breathing tube to a drain. Employing mechanical, rather than pneumatic, means to accomplish this task eliminates clogging and reduces risk of complications associated with the procedure.